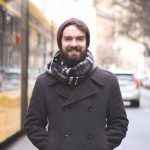 Luke has been serving on staff at Calvary Chapel Bible College Europe since January of 2018 as the Dean of Men. Luke has a gift for teaching, discipleship, and music. He serves mainly in men’s leadership and AV but also leads worship at a local Calvary Chapel and produces original music in his spare time.